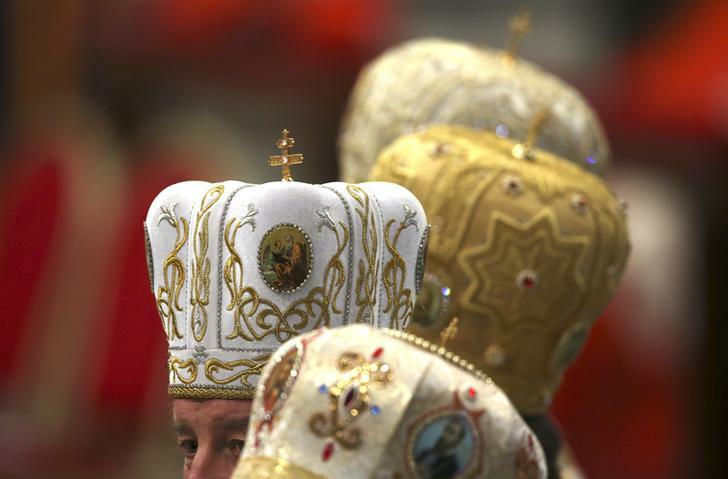 Pope Francis wants to appoint an external auditor of the Vatican’s wealth. About time too. Valuing assets such as the Sistine Chapel will prove an imperfect science. Yet the example given by the Church of England suggests that Good Book values may flow from good bookkeeping. The body responsible for managing the earthly assets of the Church of England, which broke away from Rome in the 16th century, is known as The Church Commissioners. It looks after a portfolio of equity and property investments with a value estimated at 6.7 billion pounds. It also aims to make an annual return 5 percentage points ahead of inflation. Despite having order in its financial records, the Church of England has found itself embarrassed on occasion. In July 2014, just as the Archbishop of Canterbury spoke out against payday lenders, it had to admit it owned shares in one of the UK’s quoted practitioners. With an accurate register of assets, however, the Church of England was able to correct the inconsistency. Recent divestments of shares in some companies with poor carbon pollution records provides an example of how the Church of England squared its ethical standards with its financial position. The famous Vatican buildings, artwork such as the Sistine Chapel and priceless works by Michelangelo may never be sold, and may therefore be difficult to value accurately. But another English exemplar – this time from UK mortgage lender Nationwide – might help Pope Francis and his auditors in that regard. In 2012, Nationwide found that Buckingham Palace – which is unlikely to ever be on the market – had increased in value to 1 billion pounds, up from 11 million pounds when the Queen came to the throne in 1952. Although this may be too simplistic a model for the Vatican’s auditors to follow, it suggests that valuing priceless historical assets and cultural artifacts is possible – even if only for insurance purposes. In assigning accurate valuations for many of the Vatican assets, auditors may still need divine inspiration. But an audit of Rome’s financial assets will raise hope that the Catholic Church can be run more efficiently. It may generate more funds for its charitable endeavours. If Rome keeps better data on earthly things, it might also find the whole Papal enterprise one step closer to heaven. Clergy members are seen before Pope Francis leads a mass to mark the closure of the synod on the family in Saint Peter's Basilica at the Vatican, October 25, 2015. The Vatican is looking to appoint a top-four global accounting firm to conduct a comprehensive audit of its assets and financial processes including real estate and art, according to a Bloomberg report on Dec. 1. Libero Milone was made the Vatican’s first general auditor on June 5.